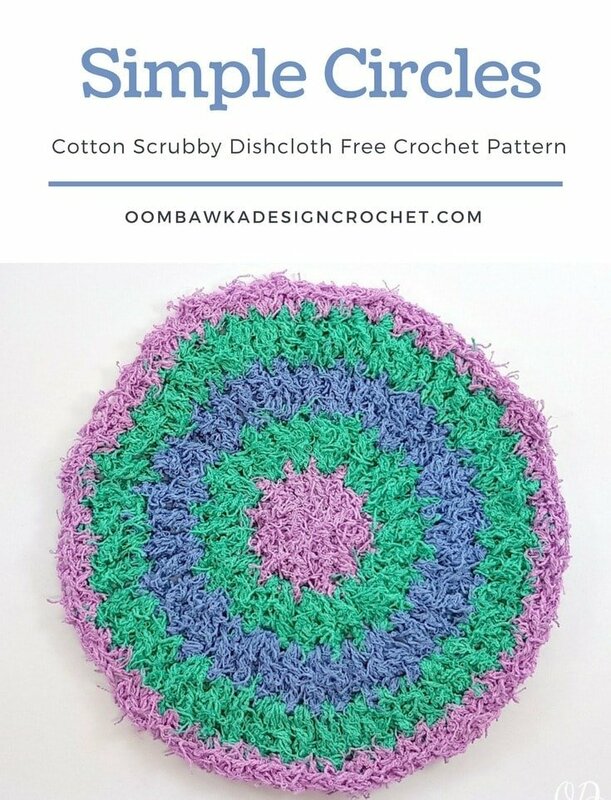 Below I have included an easy pattern for you to make a simple circle scrubby cloth – you can use this as a facecloth or a dishcloth and you can simply use 1 color of Cotton Scrubby if you don’t want to make any color changes! 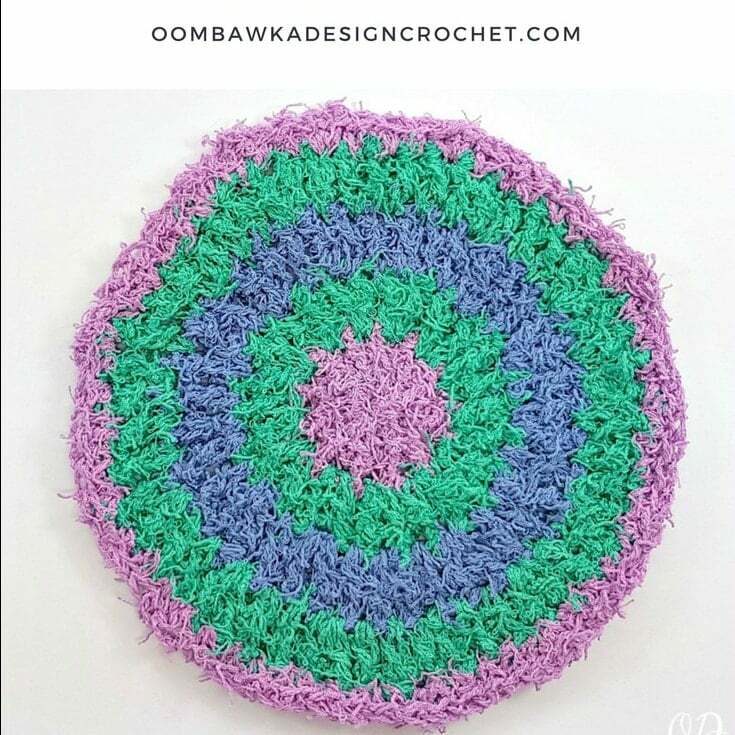 This dishcloth was crocheted with Red Heart Scrubby Cotton yarn . You can read my Crochet Yarn Review HERE. Red Heart sent me free samples of the Red Heart Scrubby Cotton to try. The yarn reminds me of terry cloth to the touch. You can substitute any Red Heart Scrubby Yarn, Scrubby Sparkle or Scrubby Cotton for the yarn I used in this pattern. Yarn: Red Heart Scrubby Cotton. 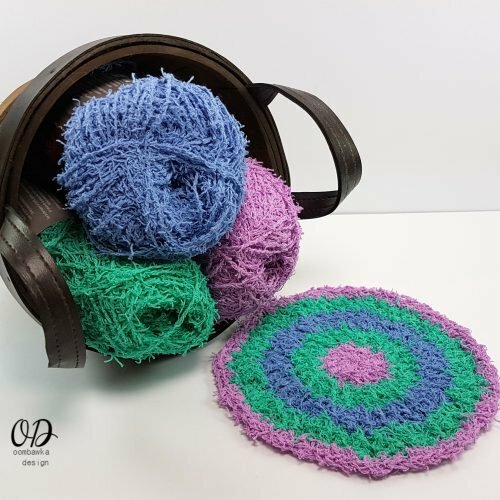 Medium Weight Yarn. (3.5 oz / 100 g ; 145 yds / 133 m). Color: MC: Lavender, CC1: Jade, CC2: Denim. Ch 3 counts as 1 dc.